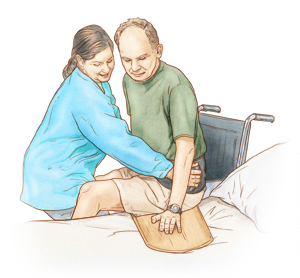 Forms a small ramp at the entrance and exit, so that the patient can be moved easily and effortlessly. Transfer Table; Board design like a small ramp inclined at both entry and exit. So that the patient can be moved easily and effortlessly. Slots available to help slide while this figure makes it more resistant to weight. The major objective in this table is to achieve greater security and confidence of the user. The movement from one place to another at times and entails significant risk that a simple and effortless way can avoid this transfer table. 4. Handle to enter bathtub. 5. Swivel chair for bath. 6. Shower holders, WC …. 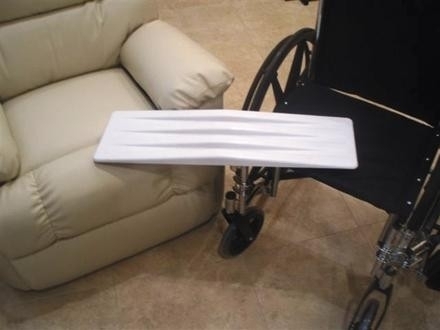 Transferring means moving between two surfaces (such as a bed and a wheelchair). Safe transferring is crucial to preventing falls. he type of transfer you will use depends on your overall health and strength. This article will describe one type of transfer using a transfer board. Health care provider helping man sitting on transfer board slide from wheelchair to bed. A transfer board is typically a flat, rigid board made of wood or plastic. It’s used to bridge two surfaces. Using a transfer board has certain benefits. For instance, it allows you to move between surfaces without using your legs. It allows for several small movements instead of one big motion. It also needs less upper body strength than other types of transfers. A transfer board is a rigid or semi-flexible board that can be used to move users from one surface to another at a similar height. 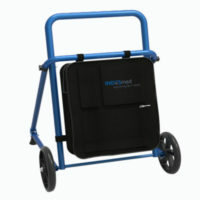 The large transfer boards are usually made of plastic with one side sliding and the other non-slip. They allow to transfer the user lying between surfaces of equal height or from one surface to another lower. Some models can be used in conjunction with sliding sheets to reduce friction between the user and the table. You will not suffer tendinitis during your recovery. And you won’t have pain in the hand as usually happens with standard crutches. Keep being the coolest guy on town! 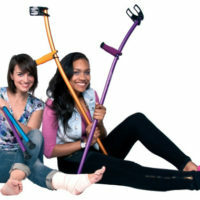 Buy INDESmed cool color crutches series! 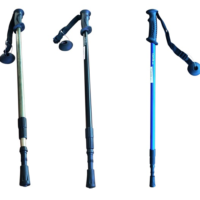 Crutch ERGOTECH, PAR, An Ultra-Soft Padded Handle: Ultra-soft padded handle. 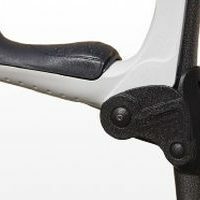 Height adjustment: 14 regulations at intervals of 25 mm. 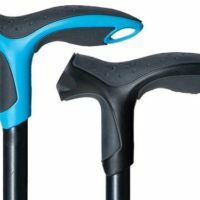 Crutches ErgoDynamic. Sold as a unit or pair. Equipped with shock absorbing mechanism. 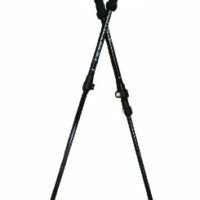 Made of high quality aluminum for maximum strength with minimum weight. The new “soft step” of FDI. Its ultra-soft padded handle facilitates the absorption of impact, preventing the slip of the hand. 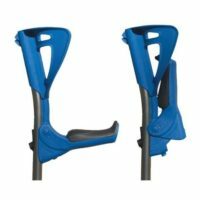 Telescopic Hiking Stick: Using telescopic canes as a support, climbing is less tiring. Its minimum width increases the mobility indoors to allow entry into narrow doors or the elevator. 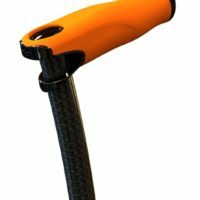 Whether you are climbing a mountain or rambling across the moors, the INDESmed carbon fiber hiking poles are one of the lightest poles available. Sold as single unit or pair. External fixing system (lock system). Height adjustment from 120 – 180 cm (47 to 70 inches).